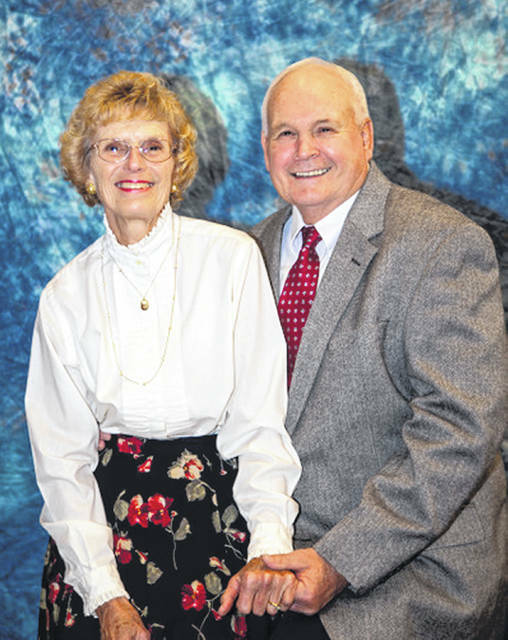 Gary and Carolyn Skinner celebrated 50 years of wedded bliss on Nov. 16. Their wedding ceremony was held at the Asbury United Methodist Church on Lincoln Avenue in Delaware in 1968. The couple celebrated with friends and family on Nov. 18 at the new Brown Township Hall in Kilbourne. Gary and Carolyn own and operate Hardscrabble Farms Inc. in Delaware. They have two sons: Darin (Kristin) and Brian (Connie), and three grandchildren: Grant, Zane and Brooke.